Jorhat has always been a vibrant place and is a perfect mixture of modernity and tradition. The cultural environment of Jorhat is the result of the endless effort of the people trying to preserve its old culture and tradition. The Jorhat Sahitya Shabha was established in the year 1915 followed by the Assam Sahitya Sabha in 1917, which has it’s headquarter named as Chandrakanta Handique Bhavan in Jorhat donated by late Radhakanta Handique. Jorhat has been known for producing many historians, creative writers and journalists. The first Assamese to win India's highest literature award, Birendra Kumar Bhattacharya who had also won a Jnanpith Award, hailed from Jorhat. It is also home of some internationally reputed educationalists and ideologists like Krishna Kanta Handique, the founder VC of Gauhati University. The vast cultural life and a healthy educational environment of Jorhat can be best judged from the fact that the whole district of Jorhat has as many as five daily Newspapers published from here. Some of the important newspapers published in Jorhat includeThe Telegraph in English, The North East Times, The Saptahik Janambhumi, Amar Asom, Dainik Janambhumi, The Purbanchal Prohori in Hindi, Asomiya Khobor in Assamese and Dainik Agradoot. The first cinema hall in Jorhat is the The Elyee Talkies, which is presently known as Elyee Cinema located in Garali, at the heart of the city. Like all other states IN Assam, the primary and main language of Jorhat is Assamese. The other languages include Hindi, English, Bengali and Aiton, written in the Burmese script. People of Jorhat have always displayed a traditionally high interest towards culture and arts diversities. 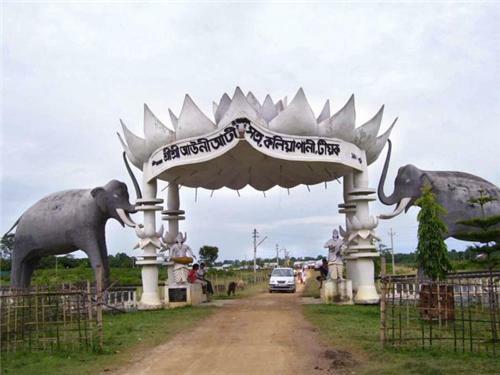 Hence it is due to the untiring effort of the people of Jorhat to keep up its old tradition and culture, the place is known as "The Cultural Capital of Assam". Jorhat has been able to produce many creative historians, writers, journalists, idealist and educationist. The first Assamese, who won India's highest literature award, Birendra Kumar Bhattacharya, was from Jorhat. Apart from that, Krishna Kanta Handique, who was the former VC of Gauhati University, also hailed from Jorhat. The famous Bollywood singer, Zubeen Garg known for his songs like ‘Ya Ali’ is from Jorhat as well. The main festival for the people of Jorhat is Bihu. The festival of Bihu is celebrated with much enthusiasm and fun by the people of Jorhat. Other than Bihu, the other important festivals in Jorhat include Ali Ai Ligang festival celebrated by the Mishing or Miri ethnic community of Assam, Diwali, Holi, Rakhi, Eid, Christmas, Guru Nanak Jayanti, etc. is all celebrated with great joy and fun. Jorhat also organises the Tea festival every year with a traditional and warm cordial reception. 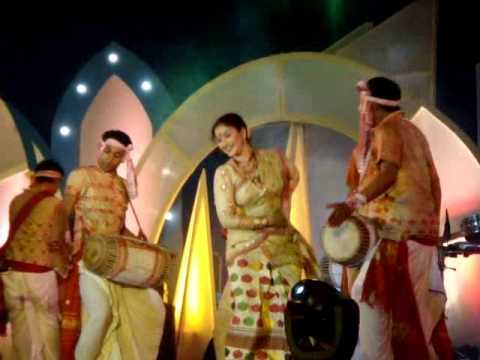 This festival in Jorhat is all about variety of tea, gaiety and music and a pleasant blend of fun and happiness. It brings about a world of festivity all around Jorhat and hence is a complete and excellent package of fun and excitement. The celebrations of the Tea Festival in Jorhat include a good number of activities like playing golf, visit to the tea gardens, safaris into the jungles, shopping, tasting delicious food items and cultural entertainment. It also includes some adventure sports like rafting and angling. The Jorhat of Jorhat also speaks high about the culture of the place. The food of Jorhat is fine blend of spices and herbs with rice being the staple food. The main cuisines of Jorhat include Ou tenga maas, paro mangkho, Omita khar, Aaloo pitika, Hahor Mangkho and so on. Jorhat is also home to some of the finest hotels and restaurants which serve food from Assamese thali to Chinese to Indian Mughlai to Oriental to a variety of other dishes.